I attended a winged car event in Alabama recently and saw all kinds of things I had never even imagined. 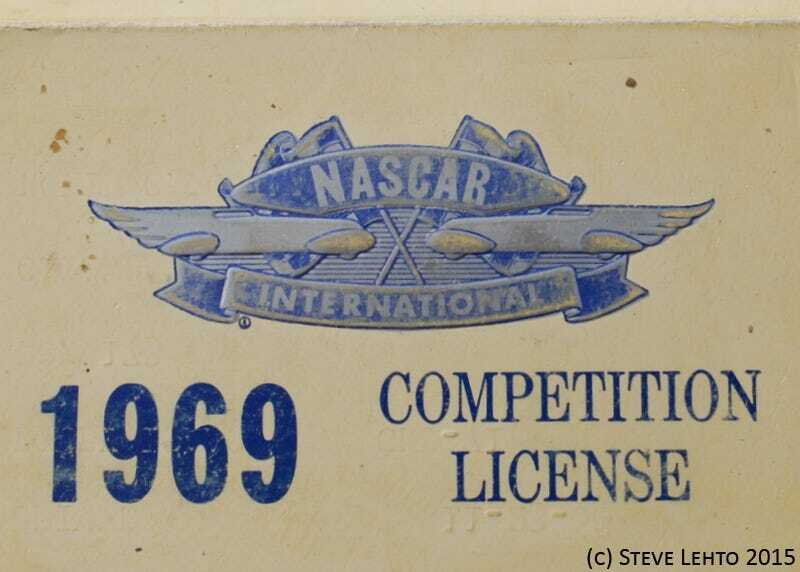 How about Bobby Isaac’s 1969 NASCAR driver’s license? A fascinating piece of history - and it was chock full of legalese. Isaac raced from 1961 through 1976 but 1969 and 1970 were the pivotal years. He won 17 races in ‘69 and won the National Championship in ‘70. It should be noted that Isaac fudge a bit on this - he listed his birth year as 1934 when it was really 1932. But that’s another story altogether. He did agree that decisions of NASCAR “shall be final,” although everyone knew that had been the case since day one (and will remain so until the end of mankind). This language also allowed NASCAR to change its rules on the fly and to enforce rules as sporadically or as diligently as they saw fit. Funny how some things never change. Finally, NASCAR reserved the right to terminate the license “at the end of any month” if NASCAR’s whims so dictated. All that was needed was a piece of paper, since the notice had to be written. But nowhere does it say that NASCAR needed good cause or any such reason to terminate said license. Except on the other side of the license. So, the license could be terminated for cause or at the end of any month without cause (in writing). Still, it’s a great piece of history. At this point, NASCAR was already 20 years old. I’m sure the agreements between NASCAR and its drivers today are even more onerous. After all, things don’t get simpler over time when lawyers and big business are involved. They get more convoluted.